Hi, this is Karen Cooper. 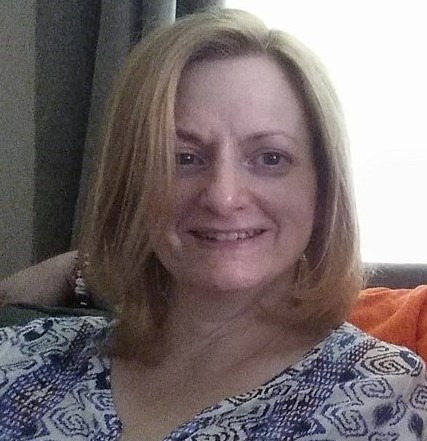 To those that know her she is Daughter, Wife, Mom, Sister, Niece, Aunt, Cousin, Friend, Nurse, Co-worker, Teacher, Confidant, Advisor, and as of last week...Cancer patient. Karen has gone from being the critical care RN that she loves to become the patient - the oncology patient. On July 10th Karen had a hysterectomy. She felt within herself that 'something' was amiss. Being an RN, she is used to making life changing decisions in an instant. Partnering with her physician, the decision was made for a hysterectomy. On July 21st, her physician called with the dreaded "You need to come into the office". She and her husband Terry went in to hear the news no-one wants to hear. CANCER, Uterine Cancer and you need more surgery as soon as possible. 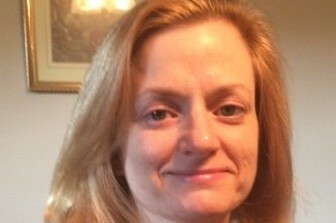 Karen has taken an FMLA to cover her time away from her job. Karen had her 2nd surgery in three weeks which was a diagnostic measure to assess any other path the cancer may have taken. She was found to have lymph nodes with cancer cells. Karen is shy about asking for help...I, as her aunt, am not. This is a family in need of any help that you can provide. Yes, I'm asking for help in a financial way. As any current cancer patient, cancer survivor or family of a cancer patient knows not all medical bills are covered by insurance or her lost wages by not being able to work. These commitments and responsibilities still exist. Financial help would lift a heavy burden and give her peace as she strives to recovery. You - yes YOU can help to give her this peace, relieve the stress of how to pay all the bills and just help to bolster Karen's spirit during this time, an unknown length of time. We are asking for your help to encourage Karen and her family to take advantage of every moment to THRIVE just not SURVIVE! 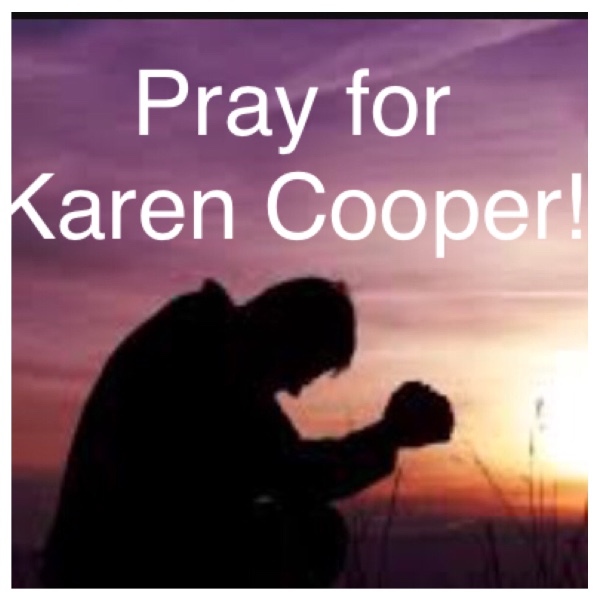 I ask that you not only pray for Karen and her husband Terry her son Benjamin (a college student) and her daughter Kailen (who is in 8th grade), as well as, her extended family. Karen is an inspiration in so many ways to so many people ... now, it is our turn to INSPIRE HER!!! We ask that you help us do just that! ---- Another way you can help...PLEASE SHARE THIS PAGE! Thank you in advance - we will update you as things go forward. It's been quite a while since I posted an update. As many may or may not know Karen was doing well almost to a new trial that hadn't been used on uterine cancer before but she was a perfect match. Four days before the trial she became hospitalized and her chance at the trial was dashed. After almost a month at U of M, last Saturday Karen came home on hospice. It's been a tough week and we are all seeking prayers for her and our family during this time. Karen has been having a great deal of pain as we await the news of if she will be admitted to this trial. We are asking everyone to please join us heart n hands across Facebook, our state, our country at 9 pm eastern standard time and pray for relief from pain, healing n acceptance into this trial!! Where two or more are gathered we know Jesus is there! Thank you in advance for sharing this and for praying!!!! 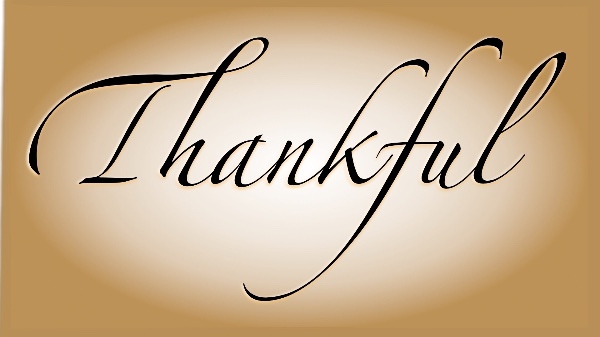 We are thankful for your joining us in prayer! Our fundraiser brought many old n new friends out to share some time with Karen. Unfortunately, the next day Karen was admitted to the hospital for emergency surgery. She is today still in the hospital and recooperating. All news wasn't the best but we are diligent in our prayers going up for this drug trial to become a reality QUICKLY!!! We ask that this be your prayer also. 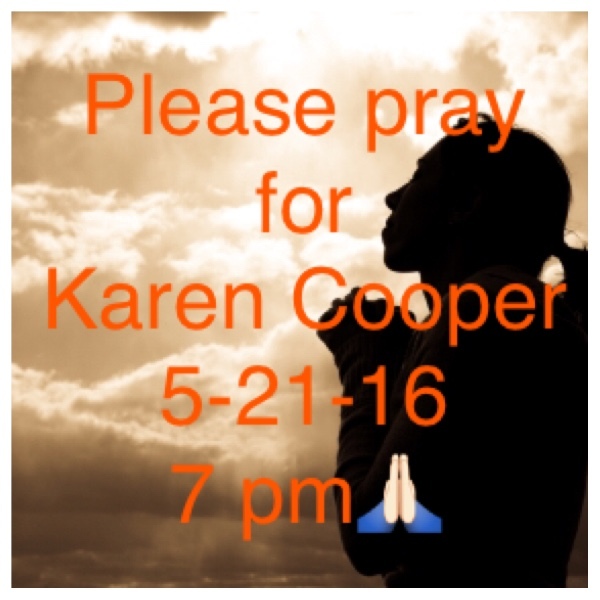 Please share this request far and wide so we can get Karen on as many prayer lists as possible. Thank you and God Bless you and yours! We ask all to pray and share! If you are in the Wyandotte area, pick up a copy of this weeks News Herald! This Saturday is our fundraiser for Karen. 12:30-8:00 at the Copeland center on 4th street in Wyandotte. $10 pasta dinner, bake sale, tons of silent auctions n baskets raffles. Music, memories and more. We hope to see you there!!! Oh, John's 25 hour walk a thon for his sister is on for October 31st starting at 10am at the Roosevelt high school track. Support him (or Ben or J.R. ) and make a pledge per step, per lap or per event ... Call Jeri at 989-701-0071 for details. Or sign up at the pasta dinner fundraiser!! Rest in Peace my dear friend. I will always love and admire you! Sending lots of prayers your way ,Karen. Bless You! Hang in there, Karen - praying for you my sweet friend! Every bit helps, prayers still comming for you and your family. A very strong young lady. Prayers always for the Cooper family!